HONOLULU —Extended furlough inmate Tasha Gardner failed to report for her scheduled check in yesterday (11/25/14) at the Hawaii Community Correctional Center. Hawaii Police were notified. 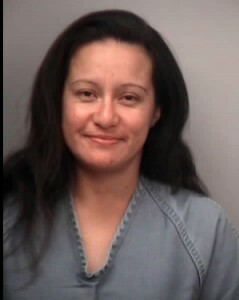 Tasha was serving time for Theft, Forgery, Burglary, ID Theft and Fraudulent Use of a Credit Card. Escape 2 is expected to be added to her charges. Her next parole hearing is scheduled for this December. Tasha is 33 years old. She is 5’1″ and weighs 125 lbs. She has brown hair and brown eyes.